“Push off into the middle of the river,” intones a line from a poem featured in Hopi Elder Speaks. A friend sent it to me. She is a powerful force whom I’ve met through my work with women and transition. An octogenarian, she leads a global not-for-profit, participates in several wisdom networks and is in a constant state of organizational prep for events, issues and causes that are important to her. I met with her to gain some knowledge about how to architect what today looks like an impossible task. My quest? I’d like to educate women everywhere about the importance of transitioning. My new friend gave me volumes of contacts and helpful specifics. But she also gave me something more important. The courage to keep going. I love this piece for what is says about transition and what it said to me about my friend’s kind act. I think this piece holds sway for those of us in or contemplating a transition. Very often in transition our biggest hurdle is to summon the courage to follow our own voice. I’ve learned that transitions occur when there is a shift in what holds value or meaning to us. This shift typically requires us to begin to explore a self-defined identity, one governed by our own voice. We often come up against powerful forces as we make our way. These forces can come in the form of expectations, like those of our families, our friends, our communities, and society at large. It took her three jobs until she ultimately found a new one that she believes is the gift of her transitioning. “It connects me!” she beamed as she gave me the update recently. Her transition wasn’t instantaneous. It required her to keep moving forward amidst uncertainty and doubt. Did she let go of the shore and wade into the middle of the river? Yes, she realized that there were fewer predetermined paths but also one irreplaceable one. My new friend made an astute observation. You see I didn’t talk with her about my concerns. I avoided reference to how worried I’ve been about making the right choices or that I won’t be successful in amplifying this important message for women. Was she smart enough to hear all that I wasn’t saying? Transition challenges us to constantly move forward. To engage with others and with ourselves as we learn about the gifts that we alone can contribute to this life. For me there has been a shift – an incredible, enlivening, unbelievably exciting shift. It requires courage every day. I still cannot see the destination but I trust the process enough to let go of the shore. This week – take a moment to sit with the Hopi image of the river. 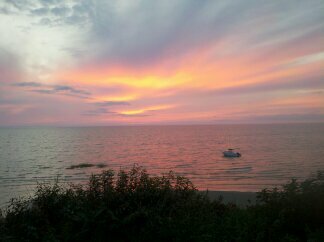 Will you stay at the shoreline or wade out a bit? What celebration awaits you there? 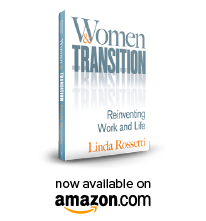 This entry was posted in Observations on Transition and tagged career transition, divorce, empty nests, job loss, observations from a women's transition, re-entering the workforce, retirement, transition, Women and Transition: Reinventing Work and Life, women's transition. Bookmark the permalink. This is a great post, Lin. Lots to think about. I love that excerpt from the poem. Thanks you. Valerie, Thank you for taking the time to share your perspective! I too love the image that the Hopi poem introduces.